This “Pure Bride”, painted by Amanda Kelsall, painted this image, depicting the Bride of Christ entering into God’s presence. Amanda, whose name means worthy of love, knew she was loved by God and His love bubbled out of her, reaching all those she came in contact with. Amanda was studying Medicine at UOttawa. She went to be with her heavenly Father on January 5, 2014 after a motor vehicle accident. The day of the memorial, a photo of an exploding star, named by NASA, the “Hand of God”, was in the news. The star actually exploded 1700 years ago! 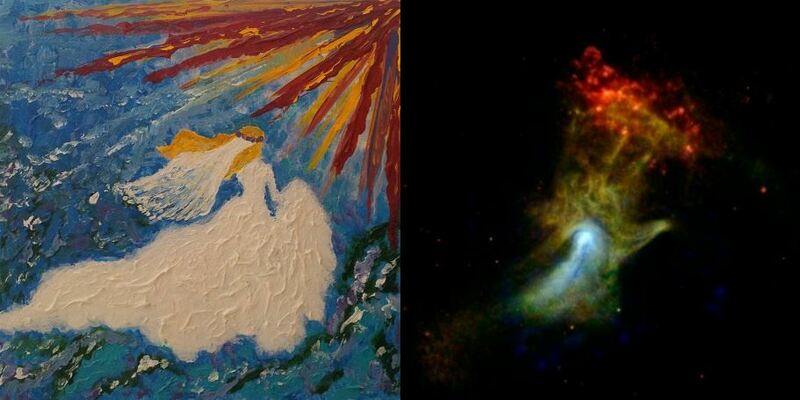 When you see the photo and Amanda’s painting side by side, there is no question that this “Pure Bride” is in the “Hand of God”! “Mission Amanda” now seeks to continue to spread faith, hope and love through its’ initiatives. 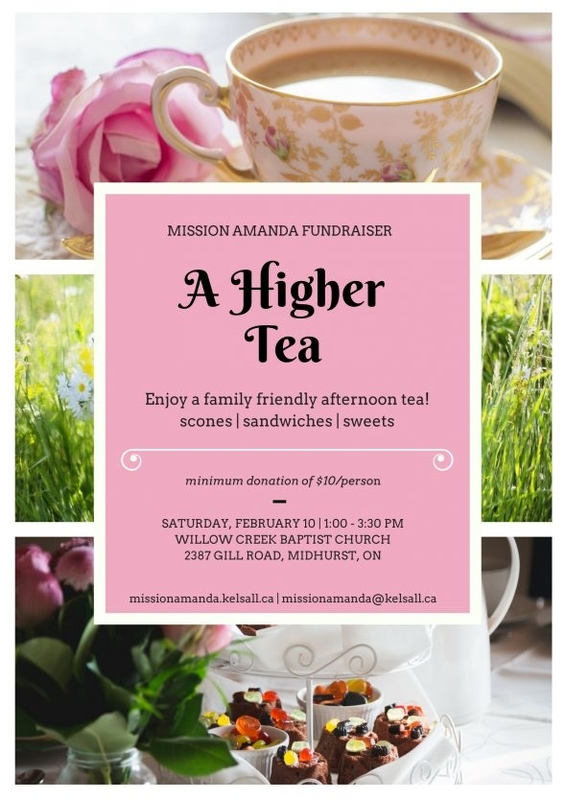 We would love for you to join us in a celebration of Mission Amanda’s “Higher Tea” on Saturday, February 10 at 1:00 at Willow Creek Church in Midhurst, Ontario, Canada. I know geographically this may not be feasible for you, but I thought I might share, just in case it is! Amanda was planning to celebrate her 23rd birthday with “High Tea”. She is now having “Higher Tea” with the King of Kings! 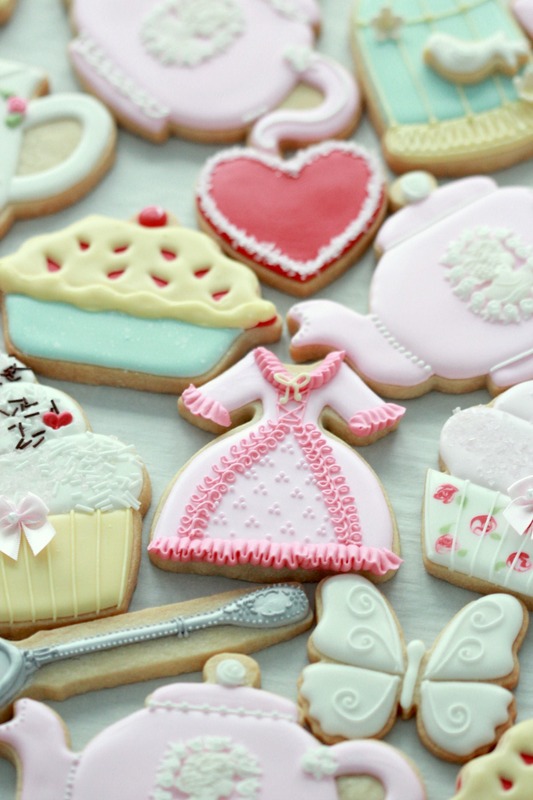 One of the door prizes will be this set of decorated cookies. Thank you so much to the following talented people for the cookie design inspiration! Yukiko Mori, a.k.a. 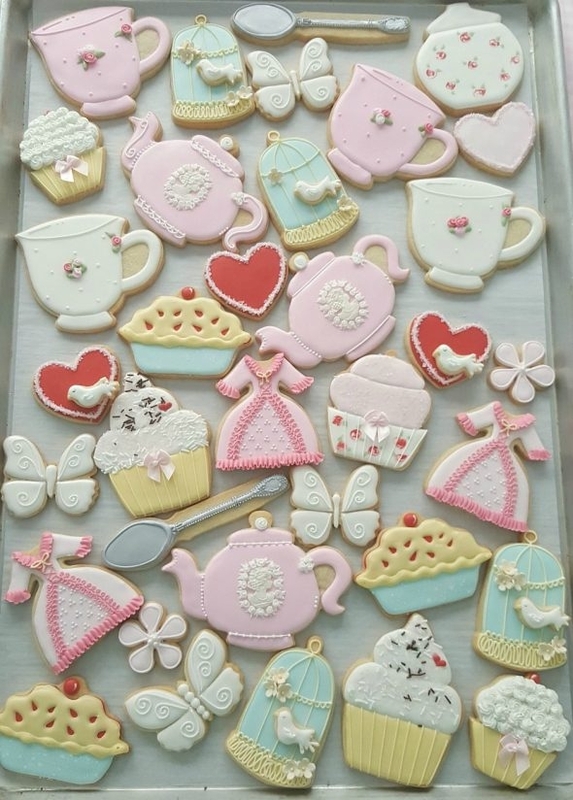 Rosey Confectionery Sugar Art, for the beautiful birdcage, bird and dress cookie cutters, as well as the darling icing designs. You can find my Cherry Pie Cookie Tutorial here. Wishing you a lovely (early) Valentine’s Day and happy decorating! p.s. 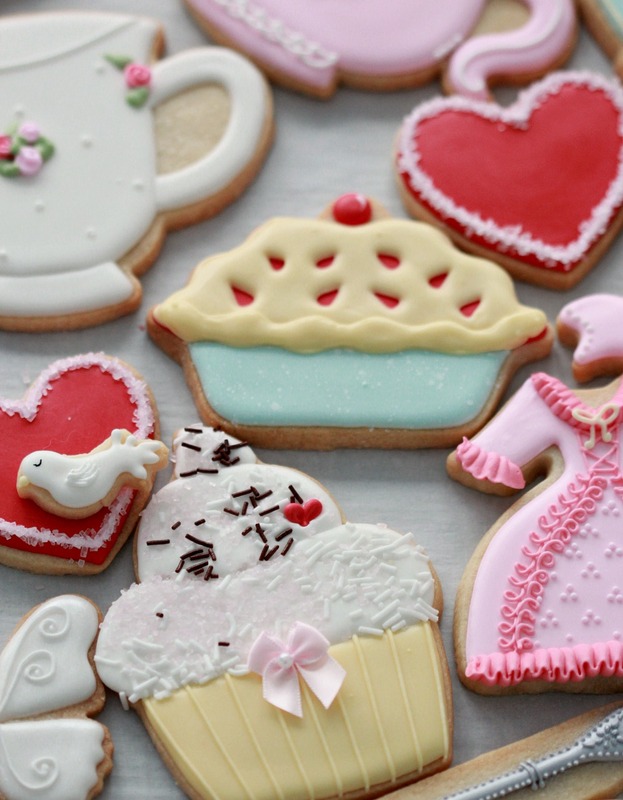 If you have any questions about how to decorate the cookies, cookie cutters, recipes etc. please feel free to leave a comment below. Your cookies are amazing! 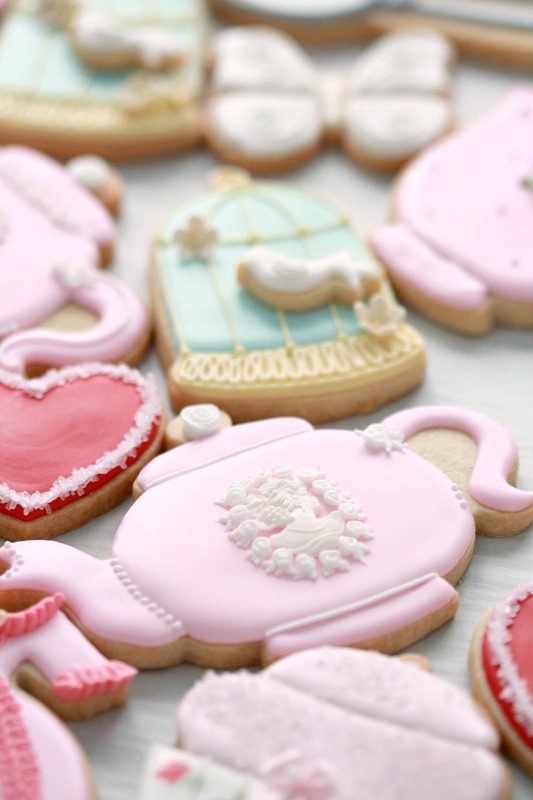 The attention to detail you give each cookie is beautiful. I love your creations. this is such a moving story and only reminds me that God is good and faithful to His bride. All grace. We do not deserve it. I am so glad this event will take place..i wish I could come and be there with you. Your cookies always make me happy. They look so perfect, as I usually say in my comments: those straight and perfectly piped lines….amazing! So proud of you. May God bless you my Marian. Thanks so much Niner, I wish you could have been there too! So happy to see you in my in box! Welcome back!!! 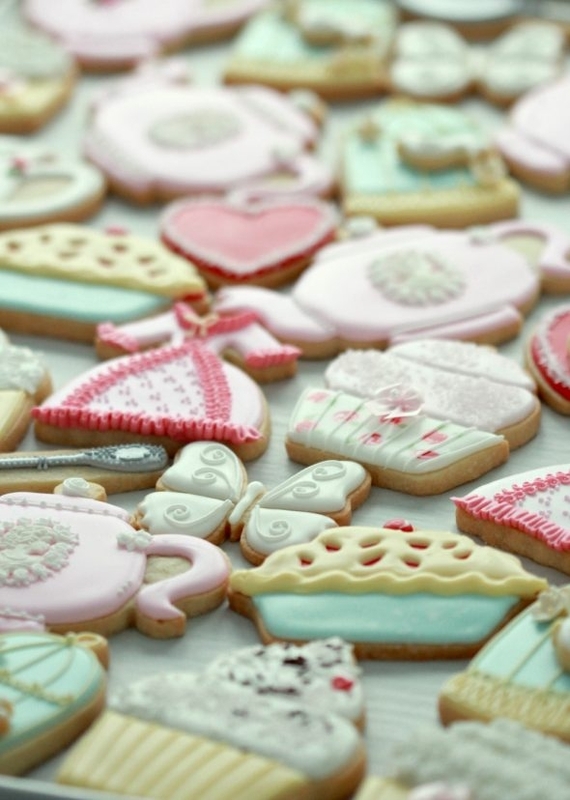 Gorgeous cookies of course!!! Awww, thanks Tina! Your noticing is much appreciated! 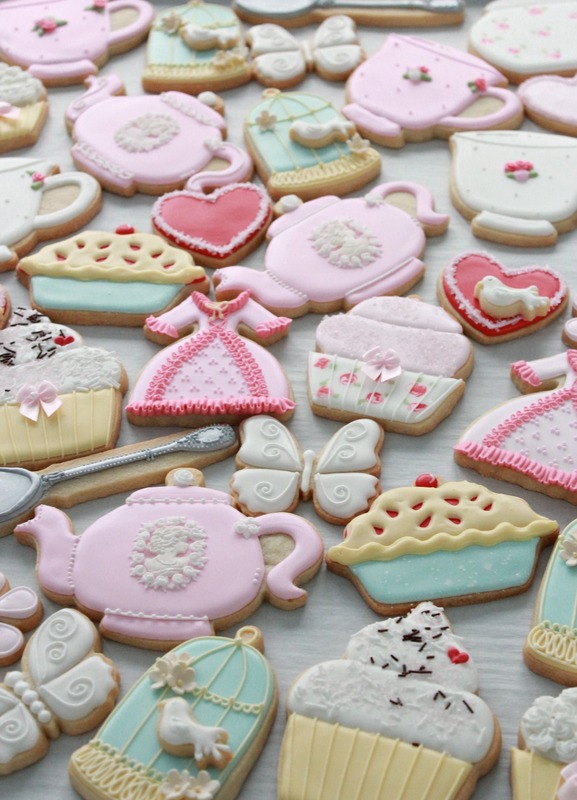 Beautiful gorgeous cookies, like to be at the high tea party!!! Love all your creative work and talents. wish I could be there. Beautiful job Marion! His love is unending. I’m so glad he sent a precious reminder to your friend during her time of unimaginable grief. I have missed your posts too! These are amazing!! 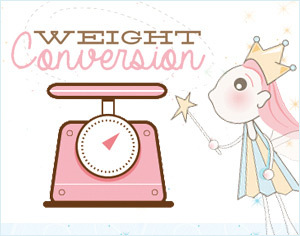 Love the story too- how inspiring. How did you do the design on the spoon? Is that all piping?? Thanks Katie! Yes the spoon has piping on it using a tip #1. Amazing! These are beautiful. Is that royal icing used on the decorations? And where would I find the recipe?